Are you a crafter who loves everything DIY? Or, perhaps you’re a frustrated gardener living in an apartment with little outdoor space? 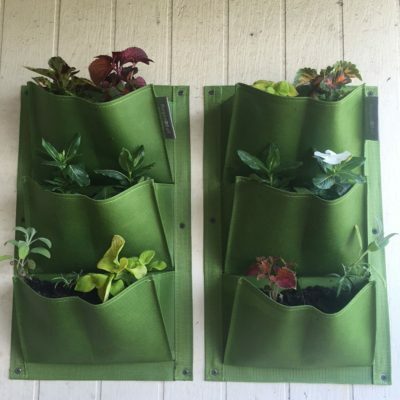 This idea is perfect for either of you: gardening with vertical planters or vertical gardening with shoe organizers! This is a great low-cost, space-saving alternative. If you don’t want to spend a lot on those vertical planting bags, then vertical gardening with shoe organizers is a great alternative. A vertical garden in a shoe organizer is also great for those of us with limited sun in our gardens. Often, you may get great sun exposure on just the deck or hitting the side of a shed, but nowhere else in the yard. A shoe organizer garden is the perfect solution. Hanging shoe organizers can be purchased many places; or for those of you who like to bargain hunt (moi! ), try going to the local thrift store for a used shoe organizer. So what else will you need when gardening with vertical planters using shoe organizers? You will need a pole like a curtain rod, along with screws to secure it to the wall, sturdy hanging hooks, compost or quality potting soil, and plants or seeds. Also, a 2×2 piece of wood that is as long as the width of the shoe organizer, which will be used to keep the pockets away from the wall. Choose the location for your vertical garden in a shoe organizer. The side of a shed, garage or fence receiving at least 6-8 hours of full sun is ideal. Attach the strong pole or curtain rod to the side of the chosen structure. Use sturdy hooks or wire to attach the hanging shoe organizer. Check for drainage by pouring a bit of water into each pocket. If they drain freely, it’s time to plant. If not, poke a few small holes into each pocket. If you want to catch the water that drips from the shoe organizers, place a trough or window box beneath the vertical garden. You can also maximize your gardening space and utilize the dripping water as irrigation and plant in the trough or window box below. Now it’s time to plant. Fill each pocket with good moisture retaining compost or potting soil to an inch below the rim. You may wish to add water retaining crystals at this time. Add some water to some crystals in a container. 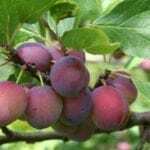 Allow them to swell up with water and then add these to the compost or potting soil. Sow seeds such mustard greens or spinach, herbs, mini tomatoes, flowers, etc. 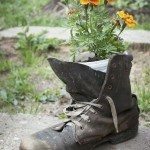 – or don’t fill the pocket with as much soil and simply add transplants, backfilling around the roots. Thereafter, care of your vertical garden with shoe organizers is pretty simple. Keep the plants moist. Water slowly and lightly so you don’t wash the soil out of the pockets. Some plants, like tomatoes, will need fertilization; use slow release granules. Don’t over pick salad leaves. This will allow the plant to regrow so you have a continuous supply of greens. Remove any diseased, infected or damaged plants. Watch out for pests such as aphids. 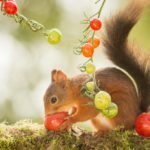 Because your garden is hanging, other pests (like slugs and snails) are less likely to nibble on your greens. Also, the neighbor’s cat, or in my case the squirrels, won’t be able to get at your tender crops and dig them up. And, of course, if you want, you always have the option of using those hanging pocket planters too! They work much the same way.